It is a challenge to reach customers in a cost effective way. Operating brick and mortar stores is expensive and promotions on the Internet cannot provide the personal touch. The live agent appears three dimensionally at life-size and can make eye contact with the potential customers. 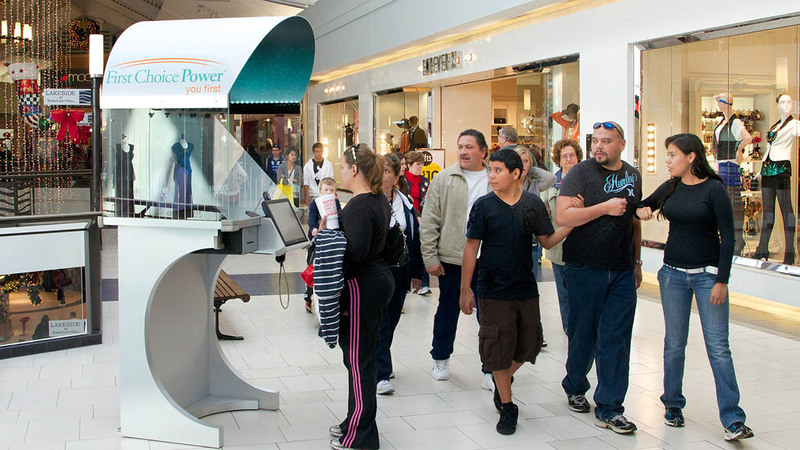 The promotional video appears to float holographically within the kiosk to catch attention and effective promote the services to potential customers. 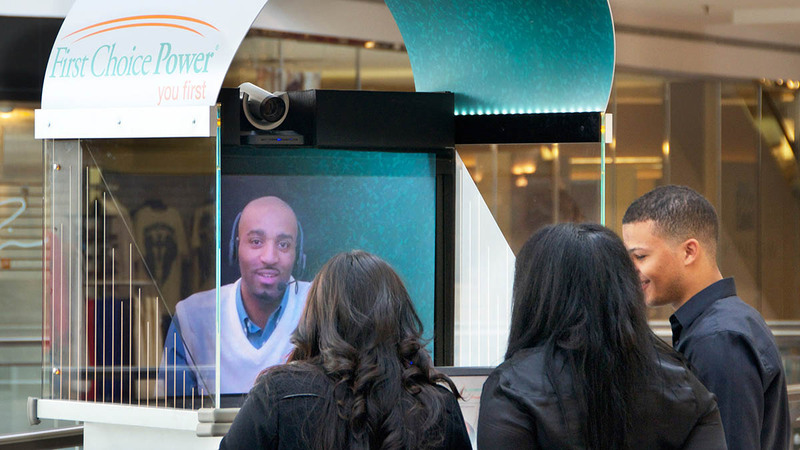 The customer sales representatives can clearly see the people at the kiosk to engage in conversation. 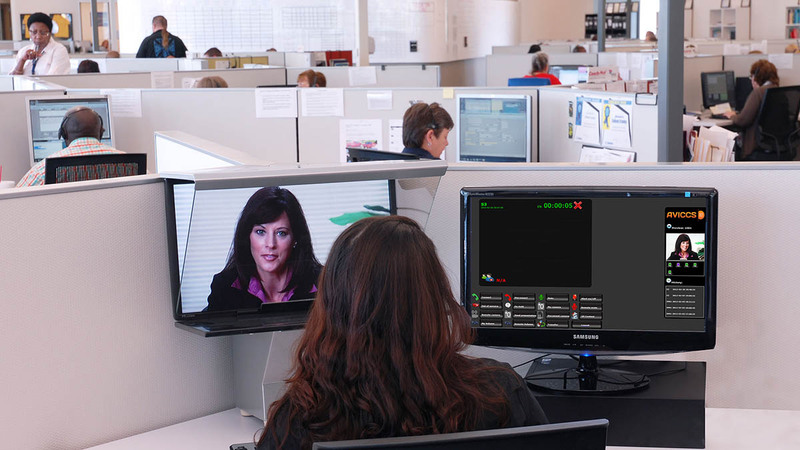 The video communication is managed by the cloud based service supporting the TelePresence Call Center.